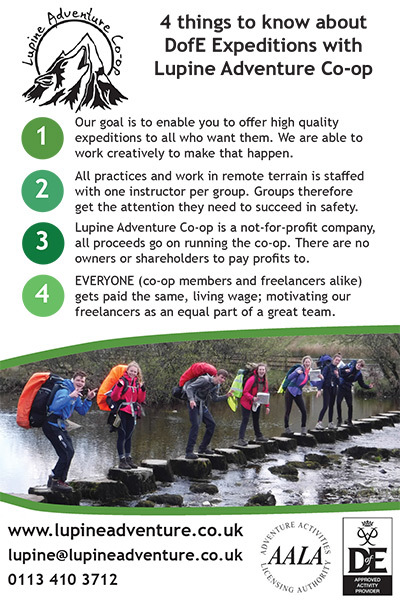 Lupine Adventure Co-operative is a not-for-profit workers' co-operative offering fell and mountain based outdoor recreation, education and training. We've been trading for over 10 years and have 5 full time members of staff who split their time between the office and the outdoors, and a part time finance and HR worker. Take a look around the website to find details of all our activities or check out companies house to have a nose around our accounts :-). As a workers co-op each employee has the option of becoming a director of the company after a probationary period (6-12 Months). Individuals within the co-operative take on responsibility for different areas of the business and report back to a regular management committee who in turn answer to the 6 monthly membership meetings. 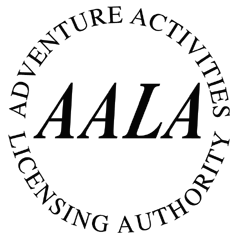 Have a look at our Ethics page for more information about what makes us different from other providers. Andy is the DofE Manager within the co-operative. He looks after a half dozen schools personally and has the other members of staff reporting to him on issues regarding the Duke of Edinburgh's Award. 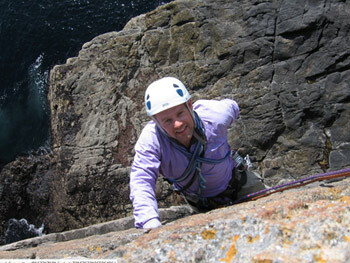 Andy trained as a single pitch climbing instructor in 1996 and qualified as a Mountain Leader in 2004. 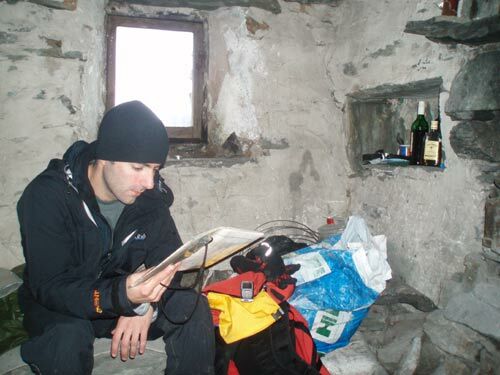 Andy started getting involved with the Duke of Edinburgh's Award in Leeds as soon as he qualified as a Mountain Leader. He volunteered for the City council Open Award Centres for 6 years and was, for the first 3 years, their only qualified Mountain Leader. In 2009 he became an accredited assessor at all levels for the Duke of Edinburgh's Award. He is now the DofE Approved Activity Provider Manager for Lupine. Andy has spent time in Scotland every winter for over a decade now, mainly walking and climbing with groups of friends but also running winter skill courses in recent years. His main summer time personal mountain enjoyment comes from a combination of scrambling and night navigation (and scrambling at night). Andy is a founder member of Lupine Adventure Co-operative, helping to set up the co-operative in 2007. 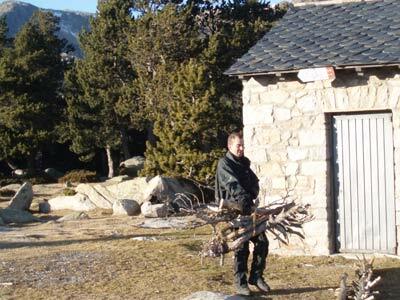 The plan for setting up a workers co-op to provide outdoor education and recreation came about when Andy and Dave were doing a 10 day winter expedition in the Pyrenees. After a couple of days they had run out of things to talk about during the 14 hours of freezing darkness that they endured each night. The idea of the co-operative came up, they started talking, and the nights just flew by. Andy holds the Winter Mountain Leader and Summer Mountain Leader Awards as well as the Rock Climbing Instructor (RCI) Award and has a degree in Sport Science. Clive's roles within the co-operative include looking after a number of DofE contracts with schools, developing our caving work and crafting the majority of our Tweets. Clive has his parents to thank for his love of the outdoors and nature and for holidays to the coast and countryside all over Great Britain. In school and the Scouts he was introduced to wild camping, expeditions, caving and rock-climbing and was a keen early adopter of mountain-biking. At Newcastle University Mountaineering Club he was a terrible secretary but an improving climber. Trips all over the UK and to the French and Swiss Alps punctuated his studies. He began to break into the extreme rock-climbing grades and enjoy Scottish winter climbing – completing all of Ben Nevis’ winter ridges and summiting the Matterhorn. He completed teacher training (in geography and outdoor activities) at Leeds University where he began outdoor leadership qualifications (Summer Mountain Leader and Single Pitch Award) and co-led a young people's expedition to the Cordillera Apolobamba in Bolivia. Clive has taught in primary, secondary and adult education, mainstream and alternative provision since 1994. He has run outdoor activities, field trips and residentials, used outdoor problem solving activities and been involved in personal development and volunteering projects, including the National Citizen Service. Throughout, he’s continued to get outside on foot, bike, underground and on the water and crags - competitively and for fun. He’s enjoyed trips all over Great Britain, to the USA, Scandinavia, Europe and the Scottish Hebrides. Clive has spent many nights in tents and bivibags. More recently Clive completed a degree in wildlife and conservation and added to his outdoor leadership skills - gaining paddlesport coach, mountainbike leader, Duke of Edinburgh Award leader and assessor and Forest School practitioner qualifications. Clive is interested in how people, landscapes and nature relate to each other and how activity in the outdoors can support personal development and well–being. He is currently working toward cave leadership qualifications. I have recently completed a MSc Biodiversity & Conservation course at the University of Leeds, having previously studied for a BSc in Outdoor Studies at the University of Cumbria. I also hold a BTEC National Certificate in Sport (Outdoor Education) which I attained at Thomas Danby College. I'm passionate about the mountain environment, ecosystem restoration and working with young people. Philosophically I believe that we should allow 'mountains to speak for themselves' and avoid over facilitating in our educational practise. I'm a keen climber, scrambler, hillwalker, diver, trail runner and mountaineer. I'm a qualified climbing instructor (Single Pitch Award), divemaster (PADI) and hold the Mountain Leader Award (Summer). The most satisfying experiences of my life have taken place whilst walking and camping in the Scottish Highlands. Sitting by a Sea Loch birdwatching, walking through ancient Scotch Pine in Glen Affric or standing on a mountain summit admiring the view. As an outdoor educationalist I believe that we shouldn't simply consume and participate in activities but we should give back far more than we take. I'm a member of the Mountain Training Association, John Muir Trust, Co-operative Movement and the British Mountaineering Council. Jo considers herself a bit of a late-comer to mountaineering, despite a life-long love of the outdoors, especially the hilly bits. She became an enthusiastic hill walker in her teens and dabbled in a bit of single-pitch rock climbing when opportunities arose. During a significant interlude, characterised primarily by motherhood, she obtained a BSc in Ecology from the University of East Anglia (UEA) in her native Norfolk, spent some years working on conservation topics as a post-graduate researcher and taught Field Ecology and Research Skills in the UK and Ireland. Hill and Mountain visits formed regular holidays, but there wasn’t so much pushing the skill level. 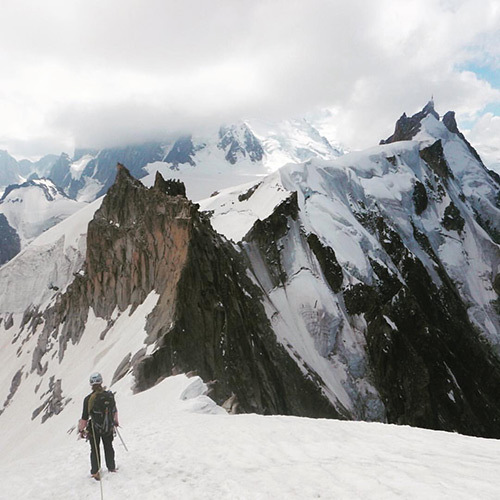 In 2012 with her daughter established in sixth form she made a contentious decision to get back out in the hills with an open mind to where that adventure might take her. 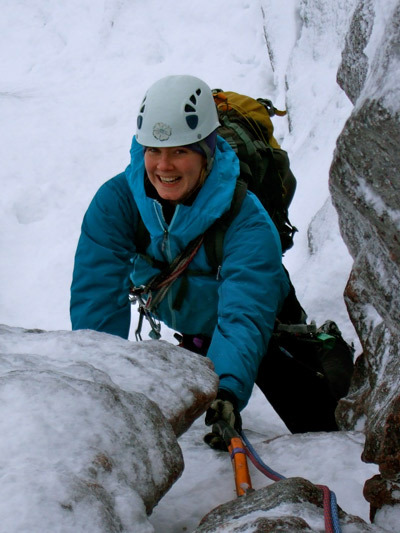 Since then she’s taken up winter mountaineering, put up her first lead climb, completed her first multi-pitch routes, developed an active enthusiasm for solo wild-camping, trekked overseas for the first time, ticked off her first 40 Munros, worn out 4 pairs of boots and, most crucially to gaining this coveted place on the Lupine Adventure website, obtained a Summer Mountain Leader Award. Somewhere in the middle of this she also set-up a bicycle related worker’s co-operative in Norwich, which she worked for and developed for over three years until waving goodbye in January 2017, having seen the enterprise grow from two to five employed members. She feels a significant debt to UEA Fell and Mountaineering Club, who continued to tolerate her participation as an alumni member, made frequent trips to the mountains practical and affordable, acted as willing guinea pigs to her leadership aspirations and most inspirationally helped re-kindle that special enthusiasm that comes from newly exploring and testing your skills in the mountains. She especially enjoys visits to Scotland where here favourite areas include Assynt , Skye and Glencoe. She particularly enjoys long, slightly technical ridge routes, ideally where you can see both mountains and sea. 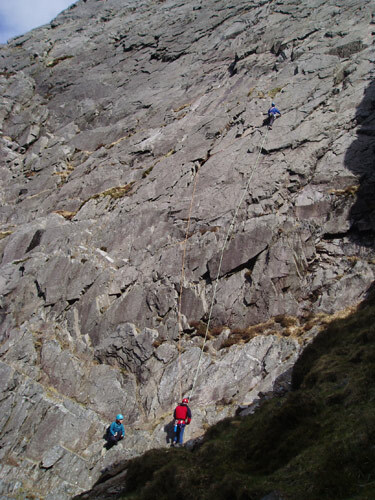 Pinnacle Ridge on Sgurr nan Gillean is one recently enjoyed route that exactly fits the bill. 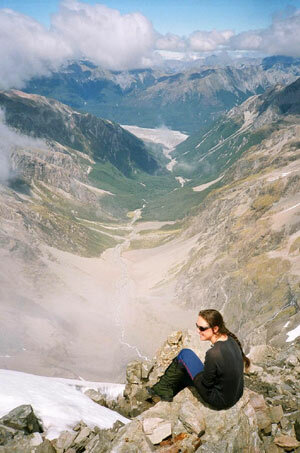 She is particularly keen to inspire more girls and women of all ages out into the hills. I undertake various administrative tasks for Lupine mainly regarding HR and accounts. As I am not an outdoor professional I am not normally in the mountains during our peak summer season. I have enjoyed various mountain trips though including some winter mountaineering in Scotland (Glen Coe and the Cairngorms). I prefer fun uphill scrambles over long slogs; my favourite ascents have been Tryfan in Snowdonia and Jack’s Rake on Pavey Ark in the Lake District. I like nature and being outdoors and am happiest when there is a pub or cafe at the end of a walk! I like woodland and coastal walks best. We have walked most of the Yorkshire coast and are making progress on the South-West coast path now. I have also done some good walks abroad including in the Plitvice Lakes in Croatia, in snow conditions in Algonquin Park in Canada, along part of the Routeburn track in New Zealand’s south island, trekking and camping through the Taman Negara rainforest in Malaysia, and bivvying in Kakadu National Park in Australia’s Northern Territory amongst others. We are planning a trip to the Forest of Fontainebleau and Chamonix on the way to Italy this Autumn. Ben spent much of his early years being taken up cliffs and mountains, often in the rain. Now in his 30s he continues to do much the same in his professional life as well as in his free time. He has worked for Lupine Adventure since 2010. Ben is based in Leeds, but takes every opportunity to get out to the hills and spend time walking, climbing and fell running in all seasons. Favourite mountain areas include the Ogwen Valley in Snowdonia and the Black Cuillin on Skye, but he also has a soft spot for the Yorkshire Dales where he spends a lot of his time. He has been a regular volunteer on conservation projects ranging from path maintenance to tree planting, both in The Lake District and in Yorkshire. Ben holds the ML (Mountain Leader) and SPA (Single Pitch Award) qualifications and is a gold-level DofE assessor. He is a member of the BMC (British Mountaineering Council) and a trainee member of AMI (The Association of Mountaineering instructors). 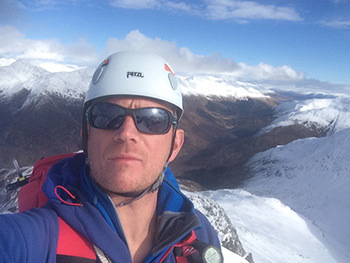 He is working towards the Mountain Instructor Award, and completed the MIA training course in November 2014. Nicola grew up running around in the woods in Cheshire, traveling the world on container ships, and can recall first falling in love with the mountain environment in the Lake District around the age of five. She has been working in the outdoors since 2001, initially in environmental education at the Temple Newsam Estate in Leeds. After joining the Leeds Youth Service in 2003, she was soon seconded to outdoors centres where she delivered a variety of adventure activities to a broad range of groups including excluded young people and young offenders. 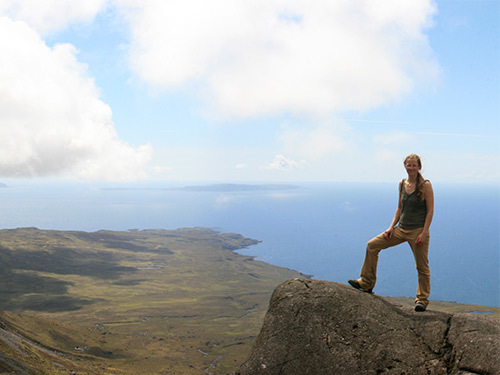 Since 2007 she has been focused on expedition work, largely D of E. As well as working across the UK, Nicola has led expedition teams in Morocco, India and Borneo, dealing with some highly interesting logistical and medical issues along the way. Nicola currently combines running around in the hills for a living with facilitating nature based education, and delivering workshops on bushcraft and traditional skills from shelter building to basket making. She also runs foraging courses and is passionate about wild food. She is a qualified mountain leader and D of E assessor, working towards the Winter ML and SPA assessment. She has undertaken recent training in water safety and rescue, first aid, and child protection. 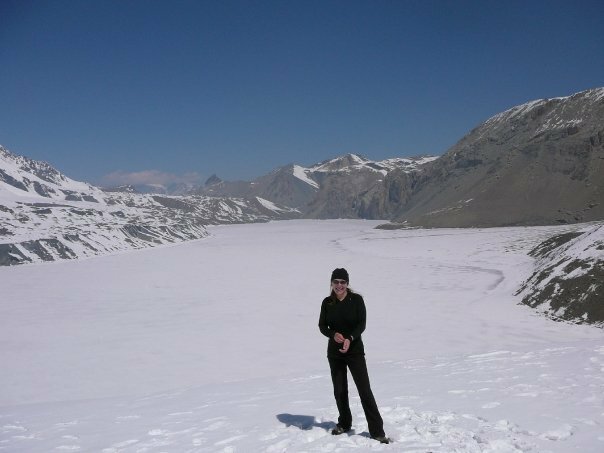 Always a keen adventurer, in recent years she has completed the Annapurna Circuit in the Nepali Himalaya, Summited Jebel Toubkal in the High Atlas in winter conditions, played on Icelandic glaciers and crewed a yacht round the Baltic Sea. A lifelong lover of wild places, she spends her free time climbing mountains, trail running, caving, open water swimming, cycling, and trying to learn far too many things. I have been active in the outdoors since my childhood. I started with my Dad, climbing in the Peak District and mountain walking in North Wales. As I grew older I had a passion for travelling and found myself in Asia, Australia and finally New Zealand where I lived for a couple of years. It was in the Southern Alps of New Zealand that I really began to develop a passion for climbing and when I finally returned to the UK this passion only grew along with my want for exploring. I have climbed all over Europe, in Africa as well as New Zealand and the UK. My outdoor career began with centre work at a PGL seven years ago. Since then I have worked in outdoors at centres and for providers both in the UK and abroad. I have gained my Single Pitch and Mountain Leader awards and had the pleasure of working with a vast variety of groups and individuals. I now work as a freelance outdoor instructor and I spend most of my time working in Yorkshire, the Peak District and the Lake District. Though I still manage to find plenty of time to get into the mountains and to the crag. 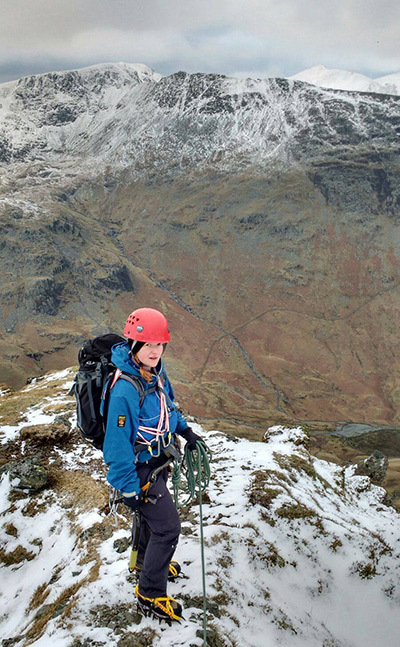 Cat lives in North Wales, working as a freelance instructor and at Mountain Leader Training, the organisation which manages the outdoor qualifcations such as the Mountain Leader award. Originally from London, she lived in Leeds for 12 years working as a youth worker on programmes aimed at building confidence and personal development for young women, using a range of outdoor activities, team games and art-based work. A personal love of being in the hills and in wild open spaces led naturally to encouraging others to find such pleasure. She started to run courses on teaching Outdoor Education, and developed to gaining qualifications in Single Pitch rock climbing (SPA) and the Mountain Leader Award (ML). She worked for Leeds City Council at their residential outdoor education centre, Herd Farm, where activities include a climbing tower, high ropes course, mountain biking and archery. Cat continued to work as a freelance Instructor and youth worker, before packing it all in to travel and work in New Zealand. On her return to the UK, she moved to North Wales, spending every spare moment climbing and walking in the incredible mountains of Snowdonia. And hiding from the rain. Developing further skills in Alpine and winter conditions, Cat has made successful ascents of mountains in the Southern Alps of New Zealand, the European Alps and Norway's Jottenheim region. She is fortunate to have had fantastic opportunities to travel in so many beautiful places including the USA, Central America, and Spain. Canada is next! The UK, however, holds some of the most unique and inspiring wild areas, with personal favorites being the Isles of Skye & Rhum, Cumbria's Langdale Pikes, the Black Mountains of south Wales and Snowdonia's Cardennau. Growing up, Craig’s holidays and weekends were mostly spent playing on beaches, falling out of boats and poking around Yorkshires moorlands. Sailing lost some of its appeal in his sulky teenage years, but he continued to find time to get out into the countryside, even spending a time working for the National Trust after he finished school. 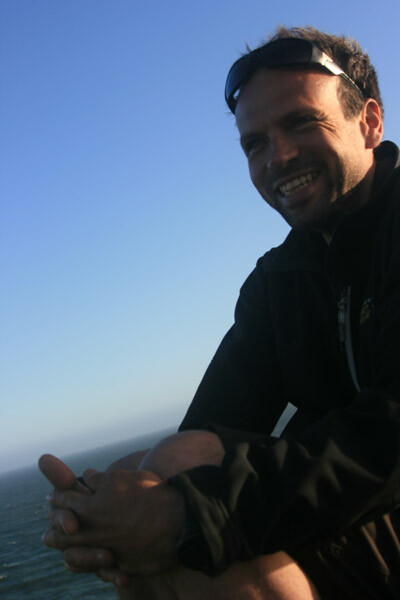 Craig has been working in adventure education for much of his adult life. Originally basing himself in outdoor activities centres across the UK and France he moved into freelancing full time in 2010. 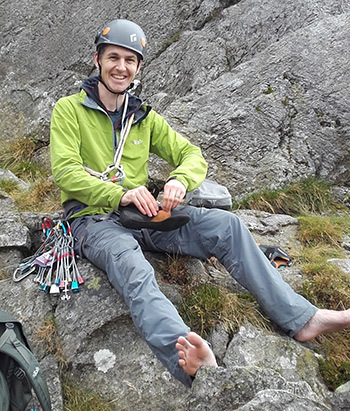 Now based in York he is a true jack-of-all-trades, qualified to lead and coach climbing, hill walking, kayaking and canoeing, mountain biking and bike mechanics, and bushcraft. If he had to pick which activity was his one overriding passion he would say "climbing" without hesitation and is currently preparing for his Mountain Instructors Award assessment. That said his greatest passion is probably introducing people to the outdoors and giving them the skills to go and appreciate it in their own time. If not outside somewhere Craig can probably be found doing something extremely nerdy, or making his family's lives difficult by building furniture in the dining room. Growing up in beautiful Yorkshire, I spent much of my childhood outside, up trees, in streams and on hillsides. With this background I have, and continue to, endeavour to weave together my interest in Psychology, with my passion for the outdoors. This has resulted in a work life that keeps me on my toes and crosses my path with a wide range of people, from teenagers, to high-level sports teams and military veterans. After my first stint at Uni, I left it all behind to travel, seeing where the outdoors would take me. Although mainly guiding overseas whitewater river trips, my travels led me to the United Arab Emirates, where I ran International Award courses in the desert, and Australia where I supported independent multi-day wilderness trips. After that I linked my outdoor work with postgraduate Psychology studies, providing research consultancy work to an outdoor education provider. It wasn’t too long before it was time for me to listen to my need to travel and move on again. As a result, I came back into the outdoors where I focussed on widening my experiences and developing my qualifications. 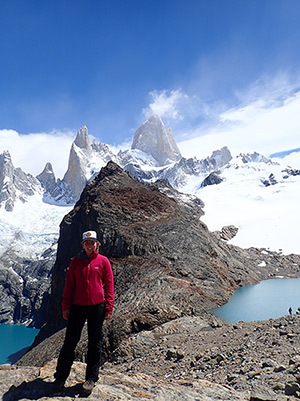 Over the last few years, I’ve been lucky enough to explore the mountains, rock and water of Patagonia, South East Asia, Canada and Nepal, as well as spending a month in India training as a yoga teacher. However, there is still a lot of exciting and beautiful places in the UK- I have recently moved to the Lake District to get closer to the hills, crags and rivers that inspire me to get amongst them. I’ve always loved the outdoors – from den-building and family camping trips as a youngster to weeks away with the scouts and with friends as I hit my teens. As a 21 year-old I journeyed around the world for just over a year, trekking through the Canadian Rockies for several days and cycling down the west coast of Canada and the USA on a bike I’d bought for just £20. This introduced me to the joys of cycle-touring and I’ve done many tours since, including a solo, 16000-mile journey from Argentina to Alaska. But I love to head into the hills on two feet as well as two wheels and have enjoyed many wild-camping trips and days out in the mountains of the UK and Europe. I entered the outdoor industry late, having worked in many jobs beforehand that didn’t quite float my boat. I gained a degree in Ecology after turning 30, worked for a time as a primary school teacher and gained my Mountain Leader award after turning 40. I now enjoy freelance work in the outdoors, lead school expeditions all over the world at least a couple of times each year and love to share my enthusiasm for the outdoors and for travel with others. Helping others to achieve personal goals really does it for me, whether it’s completing the Yorkshire 3 Peaks challenge or learning to find their way using a map, it’s all very rewarding. Pete, is based in North Wales and is often likely to be found in the mountains, whether it be walking, scrambling or climbing, summer or winter, rain or shine. Pete has an extensive experience of the upland areas of Britain and Ireland. If asked which areas were his favorite he would struggle to chose, though it would certainly include the Cuillin on Skye, the Mourne Mountains in Northern Ireland and Macgillicuddys Reeks in Southern Ireland. He has also been mountaineering in places a little further afield. This includes areas such as the Jottenhiemen region of Norway, Central America, The Pyrenees, The European Alps and he spent several months traveling round and climbing in the Southern Alps and crags of New Zealand. Pete currently holds the Mountaineering Instructor Award and Winter Mountain Leader Award which qualifies him to instruct all aspects of summer mountaineering and climbing, winter hillwalking and winter skills courses. He is also considering working toward his Mountaineering Instructor Certificate. Pete is a member of the Association of Mountaineering Instructors. My love of the outdoors really took off whilst having the opportunity to live in the Lake District and study a BSc in Outdoor Studies. Since then, the need to be outside and in the mountains has been an integral part of my life, taking me on memorable adventures near and far. I have developed my skills as an instructor and leader in a variety of different environments. I spent a year working for the Outward Bound Trust, based in Hong Kong where my role was split between daily program logistics and running courses. This was a valuable introduction to the concept of outdoor education and development in a culture of diverse languages and nationalities. Spending three years living in the Lakes gave me the chance to to appreciate the philosophy and ethics of the outdoor environment, during this time I also started training for my national governing body awards. Currently, I hold the Summer and Winter Mountain Leader Awards, Single Pitch Award and Mountain Instructor Award. 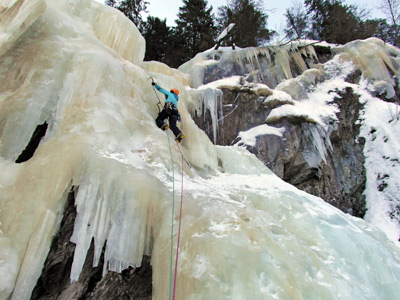 My main passion is climbing, whether it be on rock, ice or snow. Having had the chance to live in the Canadian Rockies for two years, spending a summer season working as a via ferrata guide in the Italian Dolomites and climbing extensively throughout the UK has given me a thorough appreciation for different styles and ethics of climbing, walking and mountaineering at home and abroad and a love of sharing these experiences and knowledge with others. I am currently in my third year of study in Physiotherapy a the University of Liverpool, on graduation, i hope to be able to blend my love of the outdoors with my interests in sport injury rehabilitation. Growing up in Yorkshire next door to the open moors provided me with an exciting playground full of adventures. Having been a Youth worker doing detached work and also managing an off site behaviour management unit at a local secondary school in inner city Bradford for many years I have come across people of all ages who have never had the opportunity to experience the outdoors. This inspired me to develop my knowledge and skills further that I might be able to share my passion for the outdoors with others. 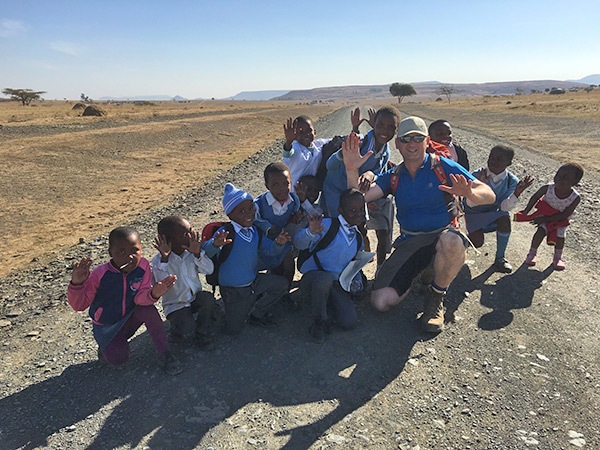 In 2008 I returned to education to complete a BSc in Geography and Environmental Science to go alongside various other professional qualifications including ML and Trail Cycle Leader. I have since brought together all my skills; knowledge and experience to deliver bespoke outdoor activities and experiences in schools, community settings and within the corporate sector. I am very active within the Army Cadet Force (ACF) delivering a wide range of adventurous training including D of E (assessment), archery and mountain biking and have recently been on expedition to KwaZulu - Natal, South Africa. I currently hold the position of Navigation Advisor for Yorkshire North & West ACF. I love adventures in the outdoors, climbing is a passion of mine but at the end of the day its about being out there with good people in exciting places. Over the years this has included walking the Cambrian Way ( an unsupported 275 mile Welsh mountain walk), climbing in Wadi Rum, Jordan and Mount Kenya. Sailing a 16ft Wayfarer dinghy from Liverpool to Lymerick (West coast of Ireland) and back, a two month journey. Sailing across the Atlantic - Tenerife to Cape Verde and across to Barbados. And most recently cycle touring by tandem bicycle in Kazakhstan! 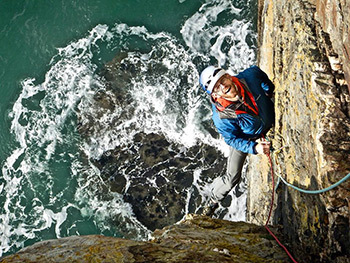 Alongside regular climbing trips around the UK and the French Alps. 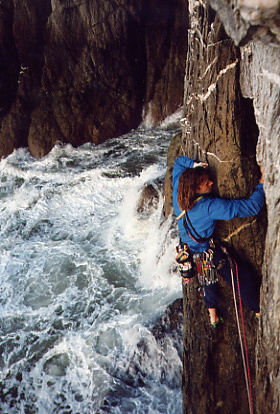 I grew up with an adventurous family and started climbing, hiking sailing and mountain biking etc. with my dad at a young age. As a teenager I started getting out in the mountains independently and for the last seven years I have made working there my career. 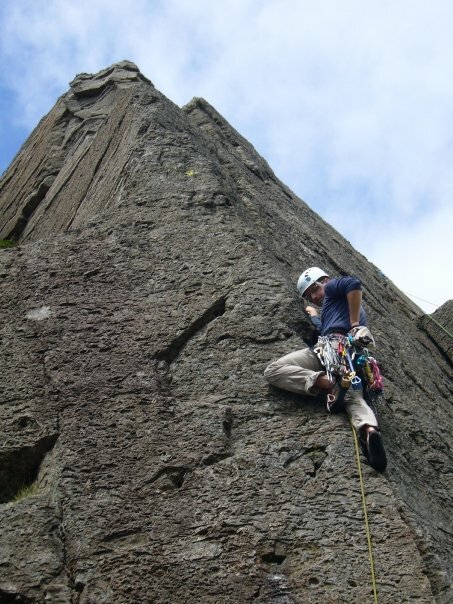 Studying Ecology at Bangor University gave me a deeper knowledge of the environment and also happened to be ideally situated for a bit of climbing! I hold the Mountain Instructor Award which qualifies me to take people summer climbing and mountaineering anywhere in the UK. For more information about what this means please visit the Association of Mountaineering Instructors of which I am a member. Or read this excellent article at UKC. As an instructor I have been lucky enough to work with a broad spectrum of people in a variety of places. For example guiding walking holidays in Greece, Duke of Edinburgh in Cumbria, climbing in Wales and even adventure training with the UAE military! The activities I have delivered have included climbing, scrambling, walking, kayaking, canoeing, abseiling, raft building, team building, gorge scrambling, slack lining, snorkeling, mountain biking and sailing. I started rock climbing at University and have never looked back. I thoroughly enjoy all aspects of climbing and generally love being in the mountains. I especially enjoy winter climbing in Scotland and the Lake district, alpine climbing and last year visited Norway to test out my ice climbing skills. Some of my greatest achievements are reaching the summit of Mount Aspiring in New Zealand, and last year climbing Barre Des Ecrin in France. Studying Sport and Exercise Science at Leeds Met University gave me a good understanding of anatomy and nutrition which all contribute to working in the outdoors. I have been working as a climbing instructor for the past 6 years and as a Mountain Leader for the past 3 years. I hope to continue working with a diverse range of people and motivate others to take part in the outdoors. 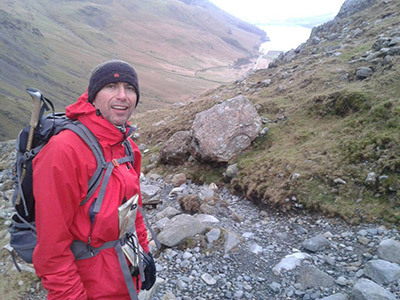 Sam has been keen on the outdoors all his life, with a particular passion for mountain walking and trekking. In his youth he spent much of his time on family camping trips in the Lakes or exploring with the scouts closer to home in Preston. At college Sam completed his bronze and silver Duke of Edinburgh awards and went on to study sport and exercise science at Leeds University, where he was introduced to delivering outdoor education. While at Leeds he gained experience rock climbing and caving, and also got involved volunteering for Leeds city council, helping to deliver their Duke of Edinburgh programme. Since graduating from University he has gained his Mountain Leader award, Duke of Edinburgh Gold assessor and RLSS water safety management award. He works as a freelance outdoor instructor delivering Duke of Edinburgh, challenge events, outdoor team building and overseas expeditions. 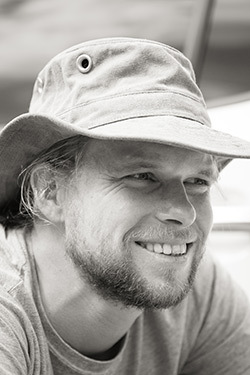 On a professional level, Sam has lead expeditions to Peru, Vietnam, Cambodia, Malawi and Nepal. 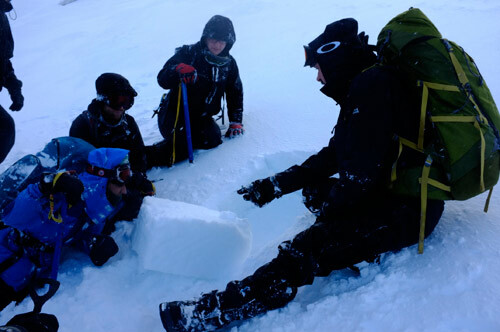 As well as freelance work he also volunteers for his local Mountain Rescue team. Sam has a real passion for using outdoor education as a mechanism to stimulate the development of important skills such as team work, communication and leadership and has the ability to adapt his facilitation skills according to the demands of the group he is working with. Mark ‘Charlie’ Valentine entered the world of Mountain Leadership and instruction following previous careers as a Pipefitter/Welder, Print Maintenance Engineer and as Door Supervisor & Head Door Supervisor for various venues in Leeds and Mallorca. His love for the outdoors was originally discovered, way back in time, during the freedom of youth. This love was partially rediscovered whilst mountain biking in his twenties and again whilst learning wilderness survival skills in his thirties. 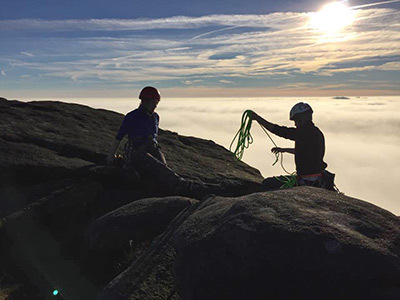 After joining a number of outdoor skills courses this love became total and quickly developed to see him going on to gain NGB qualifications in Mountain Leadership and Coaching. Currently balancing roles as Freelance Mountain Leader and Head Door Supervisor, his long-term target is to make the move into full time mountain instruction & leadership. Spare time is spent trekking, climbing, mountaineering, skiing and ski-touring which has taken him to destinations including Nepal, Argentinian & Chilean Patagonia, Tanzania, Moroccan Atlas, Belize, Andorran/Catalonian/French Pyrenees, Andalusia, Swiss/French Alps, Norway and extensively throughout the UK. 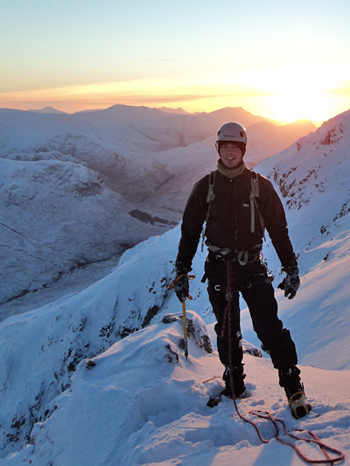 Mark/Charlie holds UK Summer, Winter and International Mountain Leader awards. He also holds the Single Pitch & Foundation Coach Climbing Awards and is working towards gaining the Mountain Instructor and Ski Instructor Awards. Jonathan was introduced/dragged into the outdoors and up mountains by his mum and dad whilst still a poor little toddler. In public he has never forgiven them for this. Privately however, he's come to terms with the addictive nature of nature, and loves getting into adventures, large and small. Walking and camping led him to mountain biking, international travel and more recently climbing. Snowboarding also featured quite heavily, taking him all over Europe, New Zealand and Canada. Having never really settled into a 'proper' job, it was whilst living in the Lake District that some outdoorsy folk persuaded him that perhaps he should turn his pastime into employment. His lovely wife helped to fund a Summer Mountain Leader Training course at Plas Y Brenin in 2015, and the next spring he qualifed with Climb365 of Kendal. He's been working as an ML ever since, and to his great joy he has found that nuturing the love for the outdoor lifestyle in others is rewarding in itself. He's currently most looking forward to dragging his baby boy up some hills as soon as the little lad can cling on. Ian Winterburn has been in walking and climbing for over 37 years. Using the wealth of knowledge and experience gained over that time he first started instructing over 18 years ago. He’s climbed and trekked throughout Europe and Africa climbing Mont Blanc and Mt Kilimanjaro. Having climbed all 283 Munros (mountains over 3000ft) in Scotland and completed the Bob Graham round 42 (Lakeland mountains with 27,000ft of ascent and 68miles in 24 hours), Ian has plenty of experience to help you discover the outdoors. He has been a member of the Woodhead Mountain Rescue Team for around 12 years and awarded the Queens Diamond Jubilee Medal. Within the team he assesses prospective candidates on their hill and navigation skills. Ian is a Director of the Fell Running Association which is the national governing body for fell running in England; he sits on the Safety subcommittee and has published articles on both Navigation and Hypothermia. For many years Ian raced dinghies and sailed in 5 European and 7 National Championships. He was also Chairman of the Javelin Class association and organised a European Championship. He’s also competed in two 3 Peaks Yacht races, winning once. 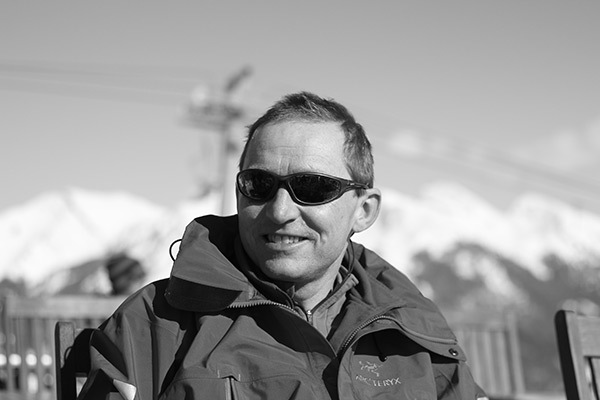 Ian is a Mountain Leader and a Member of the Mountain Leader Training Association. 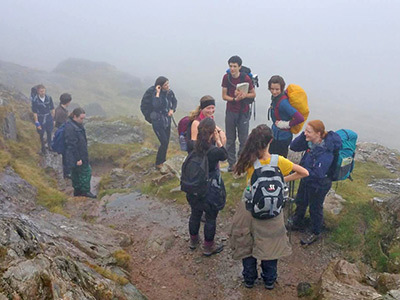 He is also a Duke of Edinburgh Gold trainer/assessor where he likes to introduce the next generation of hill walkers and climbers to the benefits of the great outdoors. He teaches National Navigation award and is a Senior sailing Instructor.